Part 2 of the 2-part 'A Gotham Tale,' continued from the previous issue. 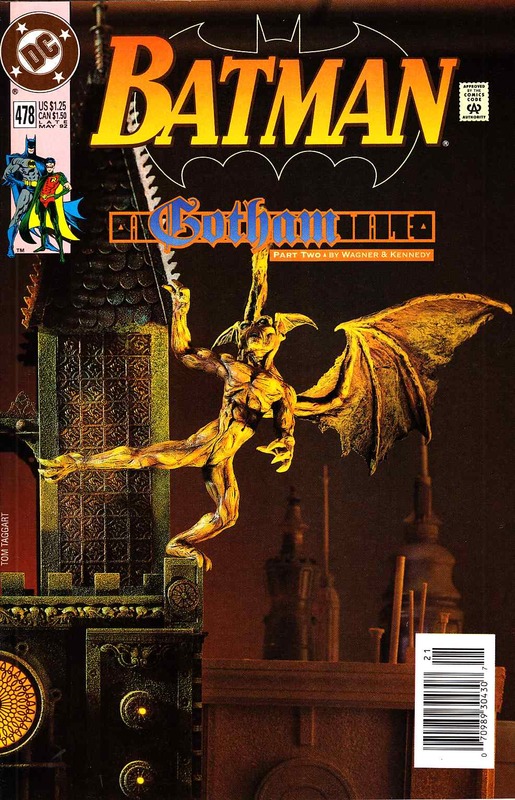 One of the people trapped in the vault with Batman reveals the truth about the blood-sucking nightmare, the Gargoyle. Written by John Wagner, with art by Cam Kennedy. Photo cover by Tom Taggart.